Sonora, CA...Mother Lode Motors in Sonora has Dodge, Chrysler, Jeep, and Cummins Diesel factory trained technicians and parts. 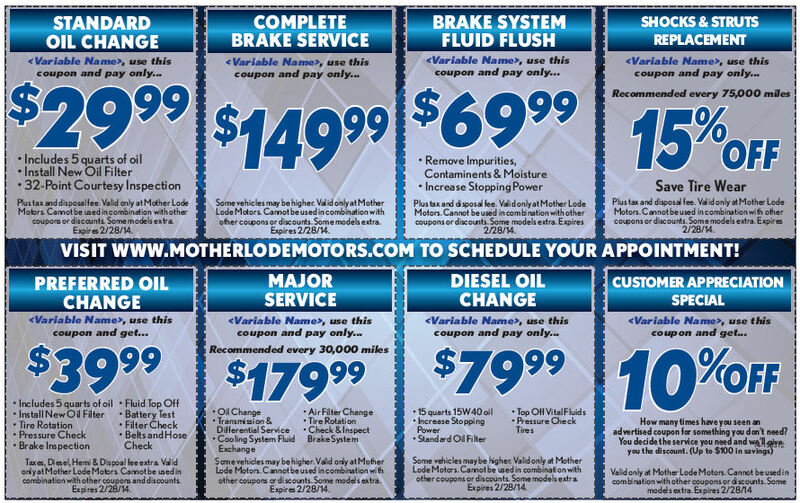 We offer a full service department for all makes and models. Just click on the Coupons below for a larger version to print to take with you. 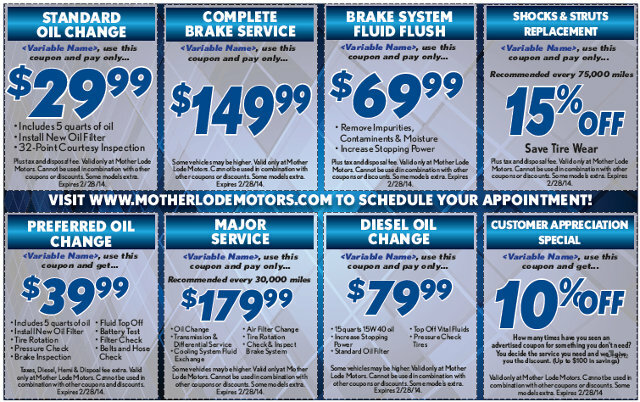 Mother Lode Motors is your local KIA Dealer and has a wide selection of new and used vehicles. Just click below to view their inventory or schedule a service appointment today.